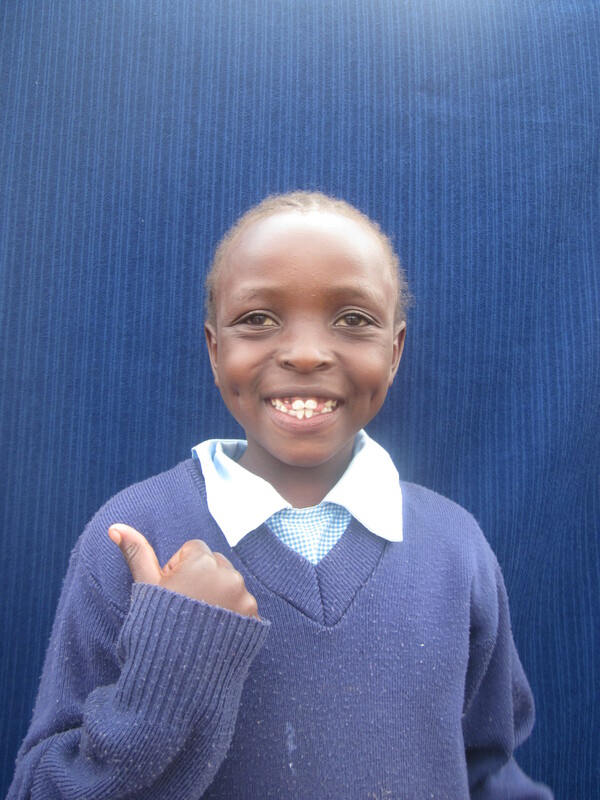 Shirleen lives with her parents and two siblings in a one-room shack in Lenana slum. Both parents try very hard to provide for their children by doing whatever casual labor comes their way. Schooling was not a reality for this little girl until their parents came to HHFL pleading for help. Shirleen and her little sister suffer from extreme malnutrition but since Shirleen has been with HHFL, her health has been slowly improving. De-worming and a consistent balanced diet is key. Not only has her lethargy stopped, but her energy levels and growth are also improving daily. She learns quickly and loves looking at picture books. She loves taking part in all of HHFL’s activities. She also enjoys computer class and going on nature walks.